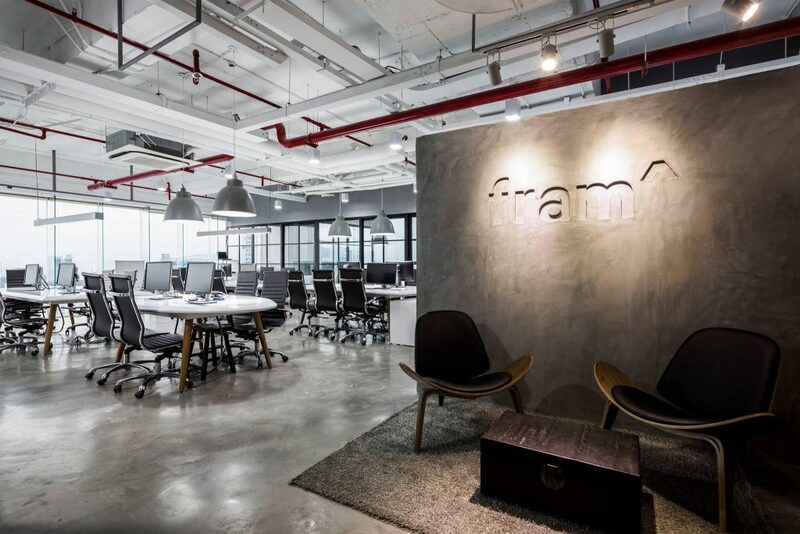 fram^ is a publicly listed venture builder (NASDAQ: FRAM B) that builds digital companies from scratch in one of the fastest growing regions in the world – South East Asia. The portfolio consists of edtech, fintech and consumer tech ventures. fram^ is headquartered in Ho Chi Minh City (previously Saigon), Vietnam. In your own words please describe what SmartBuddy does. SmartBuddy is an online marketplace for finance and insurance products that enable consumers to compare, select and apply/purchase the best products on the respective market, Vietnam and Sri Lanka. We started out by launching the insurance vertical and selling our affordable digital Hospitalization Insurance, which can be bought online, anywhere and in only 30s by leveraging e-commerce technology, subsequently we scaled into the financial vertical providing lead generation services for the banking sector. What is your role at SmartBuddy? I’m the founder and CEO, which implies I have full P&L responsibility for both entities in Vietnam and Sri Lanka, but more specifically, as in any early-stage company, I’m the chief sales officer and subsequently the chief problem solver. No company can take off without sales and no early-stage company achieves traction without first overcoming a lot of challenges (with maintained enthusiasm). Then naturally I spend a proportionate amount of time on building partnerships (a never-ending pitch roadshow) to expand the product portfolio across both markets as well as liaising with the advisory board (board of directors at fram^). The beauty of the fram^ venture builder is that we have seasoned founders (Chris and Max) with a strong track record in emerging markets, they’ve seen the terror, as well as the euphoric moments and hence, form a perfect sounding board, regardless of the situation at hand, and they’re never further away than a coffee in the office or a quick Skype call. 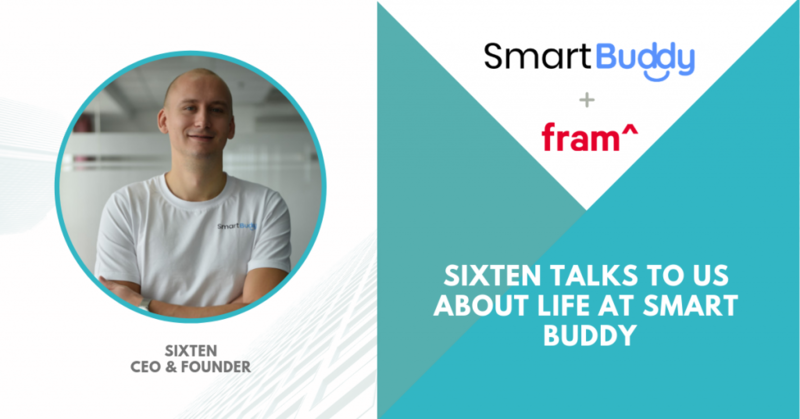 Why did you join fram^ and start SmartBuddy? I spent my career with a big multinational group in Zurich, Switzerland and after some formative years I wanted to try a smaller and more agile organization, even though I thoroughly enjoyed my time there and had great managers, I have always had the urge to build something from scratch. The startup scene was the natural way to go, therefore I resigned from my comfortable global role and spent my garden leave reading startup books and looking at different options, in the end, it came down to two clear contenders, one US-based startup about to launch in Europe and fram^ in Vietnam. I visited both companies and what tipped the scale towards fram^ was meeting the management team, first through Skype and then in person in Ho Chi Minh City, but also importantly meeting all the framers (fram^ group level) in the office supporting the early stage companies – you have web designers, recruitment, HR, finance, admin support and very skilled developers. This provided in my view the best runway to launch an internet venture, so after accepting the offer I was on a flight a few days later to start the journey. What is your favourite thing about working in the fram^ environment? It’s a young and very skilled group of people, all working towards the same goal, building fram^ (ventures included) bigger and better together. 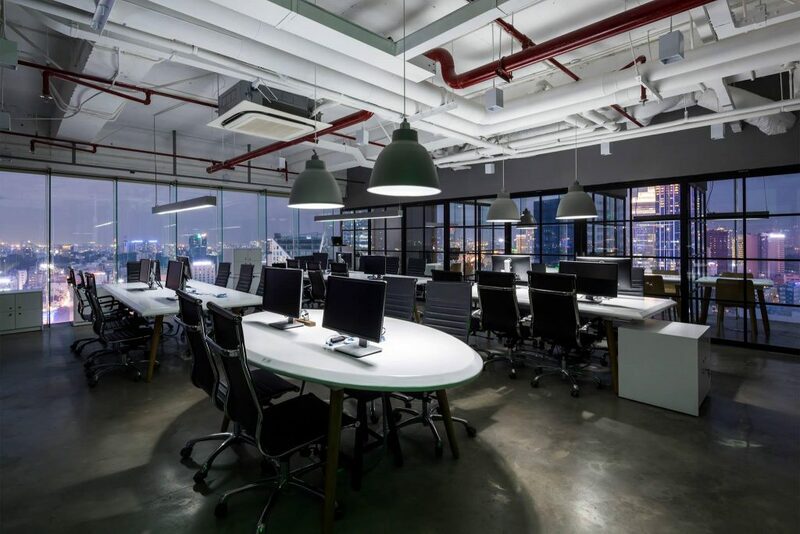 Then combine that with a Scandinavian decorated panoramic office on the 22nd floor overlooking the skyline and Saigon river and you have a recipe for a great work environment. The culture is fast-paced (we’re not big fans of waiting), a sort of “do today what others won’t and achieve tomorrow what others can’t” mentality to quote an athlete some might be familiar with, but it really boils down to strong company values of excellence and speed that is rooted into any of fram^’s operations, SmartBuddy included. Then we do have a lot of fun activities together, that’s really created a company culture that I can relate to and I think that company culture is fram^’s biggest strength, as it’s a big barrier that cannot be copied or replicated easily. Where have you been and where do you see Fram^ going? Well, I’ve been sitting by myself with a laptop in the office trying to note down what SmartBuddy is all about and why we’re going to win in July 2018, but then I’ve also been having morning kickoffs with a team of 20 people celebrating both the launch of our Version 2.0 platform as well as breaking sales records during the singles day weekend in November 2018. All this within just a few months of joining fram^. This pretty much says all that’s required of where I see fram^ going – it’ll transform and digitalize markets across South East Asia. What kind of person would suit working at Fram^, and what kind of person might the environment not suit? Anyone who has an urge to build a digital business in rapidly growing markets, with strong problem-solving skills and a very resilient mindset will enjoy this. But I won’t sugarcoat the fact that there’s a lot of obstacles and terrors along the way, but I also promise the euphoric moments makes it all worth the struggle. Someone who’s big on hierarchies, matrix organizations and reporting lines won’t like working at fram^ as it’s a very flat organization, you’ll see the chairman and CEO alike wait in line to get a fresh coffee in the morning. It’ll also not be suitable for people who’s not willing to sleeve up and jump into the heat (I spent several days a week walking the streets in Saigon trying to sell insurance policies to pedestrians in the early days, this is just part of the game to understand every nut and bolt of the business). The role requires one to jump from obstacle to obstacle without a loss of enthusiasm.